Trying to find the latest Box 8 offers that work, but don't know where to search? You're in luck, as DealSunny collects all of the offers for the food delivery service on one page, ensuring that they are valid and not expired. All you have to do is browse through the list and when you see a deal you like, follow the instructions to redeem the offer on Box 8 website or app. Buy one and get one free on supreme & signature pizzas. Use the coupon code to avail this offer. Valid on medium and large pizzas only. Offer valid for both new & existing customers. Buy 1 Get 1 Free on Supreme Salads,wraps and Sandwiches by Using the above coupon code. There is no minimum order amount. This is Valid only on All-in-1 Meals, Sandwiches, Wraps, Pizzas, Biryanis & Salads. This is Not valid on drinks, desserts, curries, Roti & Rice. Get Maximum discount of Rs 300. 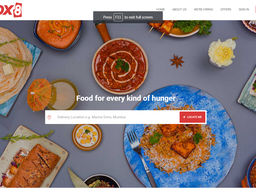 Box 8 is a food ordering and delivery service that allows customers to order ready made meals and 'fast food' from over 50 outlets in India, including major cities like Mumbia, Pune and Bangalore. The privately held company is based out of Sakinaka Tel, Mumbai, and supplies a large menu that fuses Indian and other flavours. The service can be used through the web at Box8.in and through a mobile app for iOS and Android devices. One of the reasons the service is becoming such a popular choice is because of the range of offers and deals available, which are commonly redeemed using Box 8 coupons. We keep an up to date list of these right here at DealSunny, so you never have to waste time searching the web. Simply remember to check back here before ordering to ensure you make the most savings possible! 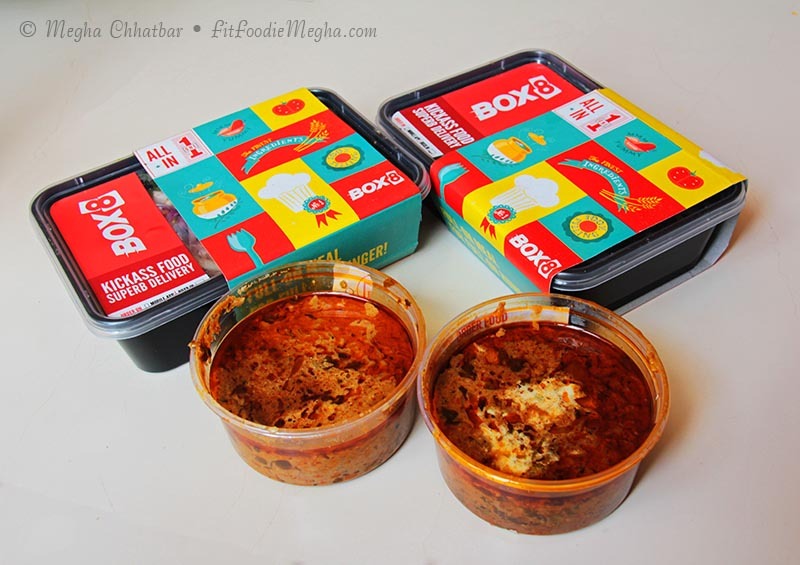 Box 8 was founded in 2011 by Anshul Gupta and Amit Raj, out of a small corporate cafeteria. The service was so popular that they have managed to expand to over 50 outlets that allow walk-in orders as well. "Just a few clicks on our ordering platform, and our super-fast integrated delivery management system will deliver piping hot food right at your door steps," reads their about page. Today the company takes over 10,000 orders a day and is one of the fastest growing food startups in India. Box 8 offer a wide range of Indian and International inspired dishes, which are delivered to you in their patented meal box, which keeps everything warm, cool and fresh - depending on what exactly you ordered. "We have given an interesting twist to Wraps, Sandwiches & Salads with a fusion of Indian & western flavours & have the most authentic, indigenous taste in Biryani & Curries." You can purchase as little or as much as you want. They cater to the office worker just wanting a quick snack, to those wanting bulk orders for parties or large events. The latter, however, are advised to call in advance to make sure you get a swift service. Depending on which Box 8 promo code you use, you may be able to get a discount on any item on the menu, or specific items only. The exact terms are revealed when you click one of the links here at DealSunny. For example, you may have to spend over a certain amount, use the app or other requirements. The menu is divided into Wraps, Sandwiches, Biryanis, and Curries. Each category has tons of options and you can even create your own wrap or sandwich from the ingredients and salads listed. Those looking for a full meal can browse the All-in-One meal category, which includes favourites such as the Dal Makhni Classic. Box 8 maintains a menu of popular staples, so your favourite will always be available. However they constantly add new items for a limited time, so you'll never be bored with the choices. As well as food you can also choose from a range of refreshing beverages to help wash down your meal or snack. For a full list of current menu items you are advised to download the app or use the site and enter your address. Using Box 8 couldn't be easier. You can either browse directly to the website at Box8.in, or download the mobile app from the Apple App Store or Google Play Store. The latter has a star rating of 3.5 out of 5. The first thing you need to do is enter your location into the bar or app settings, to reveal your local menu and options. In total, there are 50 locations covered across Mumbai, Pune & Bangalore - giving you a hyperlocal and fast experience. To order simply choose items from the menu to add to your basket, much like any other online store. Each item has a photo and detailed description so you know exactly what you're getting. There are also options to customize certain items with select ingredients. When ready to checkout just hit the basket icon, and you will then be prompted to enter your mobile number, email and delivery details, which will be saved for future orders. If you live particularly close to one of the outlets you can opt to pick it up yourself by selecting the Take Away option instead of Delivery. Before everything is finalized you will be given the option to enter one of our Box 8 coupons, which will knock down the total price of your order. All Box 8 orders are packaged in appropriate boxes that keep the meal warm or cool (depending on what you orders) and free from damage. If using the app you will need to set a password to gain access to your account. Be sure to keep this private and remember to log out after each order, as the company does not take responsibility for orders made in error. As well as ordering food you might want to check out the Hiring page if you wish to work for Box 8. The also have a dedicated page for Offers, to help you make savings, and an FAQ page in case you have some basic questions. Free First Meal: That's right, Box 8 offer all new users a straight Rs. 150 discount and an Rs. 150 store credit cashback, when you spend over Rs. 300, essentially allowing you to get your first meal for free. Mobile Cashback: If you use the mobile payment platform MobiKwik you can earn up to 15% cashback, with no minimum spend limit. Free Item: If you purchase a select item, such as a Wrap or Salad, you can often get another one absolutely free. Box 8 Promo Code: Browse our list of coupons right here at DealSunny and make savings by entering one during the checkout process. Box 8 App Offers: If you use the mobile app for Android or iOS, you can get Rs. 100 off your first app order. Free Delivery: All meals ordered through Box 8 are delivered for free. Remember to browse back to DealSunny to see what offers are currently available. You can also get wind of deals by following them on social media. They're active on Facebook and Twitter. Box 8 supports several payment options for your convenience. Perhaps the easiest way is to use a common Indian issued credit or debit card during online checkout, including Visa, Visa Debit, Mastercard, Maestro, among others. If you do not wish to pay online you can also use the cash on delivery option, which involves paying the delivery driver in cash when your order arrives. To redeem a Box 8 coupon code, all you have to do is enter it into the designated box during online checkout. If valid you will see a confirmation message and your order will update accordingly. Regardless of the size of your order, Box 8 do not charge for delivery and you don't have to use any Box 8 discount codes to claim free delivery either. Their courier aims to get your meal to you within 38 minutes, which is possible because it will be made at the kitchen closest to your address. Using the app allows you to easily track your order through the order tracking page, letting you know when it's being prepped, cooked, and delivered. You can order as late as 1am. They use specially designed boxes for various meals to ensure they remain hot, cold and covered during the journey. The Box 8 customer support team are always on hand to help if you have problems with your order. From time to time an order may not make the 38 minute mark, and you are advised to hang tight for another 15 minutes. You can then contact customer support for an update. If items are missing from your order they will send them out right away. If you are not satisfied with your order for another reason such as quality, customer support may be able to offer a coupon. In rare circumstances you may also be able to get a refund. Obviously if you have used Box 8 coupons you will only be refunded the actual amount charged.